Did you know that a large majority of items you might think have to be disposed of in a landfill can actually be recycled? Take your household appliances, for example. Can you recycle a refrigerator? How about an oven or even an air conditioning unit? Do you have old appliances still sitting around the house, perhaps broken down and not doing anything but collecting dust and taking up space? Getting rid of your old appliances like refrigerators, washing machines and stoves can be a daunting process. Not only are big appliances notoriously hard to pick up and move, but what do you with them once you load them in the truck? Or perhaps you’ve decided to upgrade your old appliances. Whether you’re just wanting a new look and new efficiency, or you’re planning to sell your home, new appliances are a great investment. However, once you have them installed, you then need to consider what to do with your old units. The last thing you want is to have some old appliances still hanging around the house - in the garage or the basement - simply getting in the way. It turns out that there are several options when it comes to disposing of old or unwanted appliances, including calling a professional junk hauling company. Because of the circumstances, these appliances cannot be sold or donated and they have no real potential for re-use. Unfortunately, your only option for disposing of these types of appliances is disposing of them at your local landfill and this is usually only if they qualify for certain recycling requirements. One other option to consider for these items is selling them to a scrap metal processor. When you need to get rid of scrap metal, such as your old and unusable appliances, calling a professional junk removal firm to safely and cost-efficiently remove your scrap metal is your best option. And opting for an eco-friendly company will ensure that as much of your scrap metal as possible is recycled. Attempting to haul scrap metal items in your own vehicle, on the other hand, puts you at risk of damaging your vehicle (and yourself!) in the process. And, if you have to make multiple trips back and forth from a metal recycling site, the whole process also becomes less energy-efficient. Then, once any unusable appliances are properly disposed of, you actually have other options for your reusable appliances. Perhaps your old appliances have only been briefly used and you simply need to find a new home for them. Maybe you have to move and the new place is already outfitted with appliances. Your lightly used, but very workable appliances, still have a lot of value. One option is that they can be sold outright. Used, but working, appliances are usually very much in demand and you could first try selling them in a garage or yard sale. However, don't expect to get even half the original purchase price for your almost-new appliance, even if it has never been used. Depreciation on appliances is steep and most people are going to be looking for a bargain price. Although there are other online sites, most people tend to use eBay or Craigslist. Generally speaking, Craigslist is mostly used by people looking for a deal. Try eBay for your more pricey items. Even though Craigslist offers a wide variety of various classified categories, the market has, over time, shifted to favor specific items. For instance, Craigslist is excellent for furniture, appliances, materials, and technology, but less so for decorative items. On the other hand, if trying to sell your appliances is not feasible for you, or something you'd rather not do, there are a large number of non-profit groups, church or community thrift stores, and trash-to-treasure boutiques that would be glad to take them of your hands for free. Donating your used appliances can be a great alternative as many organizations will pick them up for you, saving you that chore. There are a number of investments a homeowner can - and should - make to improve the actual resale value of their home. According to most realty and home improvement experts, home remodeling can be a great choice and the kitchen is one of the top priorities. Even if you are not ready to sell, a kitchen upgrade can be an investment for yourself and your family. In addition to having a new look and new appliances, you will still have the benefit of the added home value it brings. Remodeling experts and real estate agents agree: new appliances are the best upgrade in the kitchen. By replacing your old range or oven, you’ll enjoy more features and better energy efficiency. And if you upgrade all your kitchen appliances at once, you can have a matching set of modern and attractive appliances that will change the way you see your kitchen. The kitchen is one of the places that buyers look closely at when considering whether or not they will purchase your property. According to Zillow Talk, a full-gut kitchen renovation averages a 75 percent return rate (i.e., average cost: $30,000; resale value/ROI: $22,500). However, you may be able to get more or less value depending on what parts you choose to renovate and which you leave as-is. However, you don't even have to go with a complete remodel or renovation to get value from an upgrade. Doing a kitchen update instead of a kitchen remodel is like getting Botox instead of a facelift – it’s cheaper, it’s faster and it can hold you over for years. Got a kitchen so outdated that Martha Washington would be comfortable cooking there? Go for the full-blown remodel. One of the unavoidable by-products of a renovation or upgrade, however - aside from the construction debris - is the matter of your old kitchen appliances that you will probably replace. While you might get the store or new appliance delivery guys to take your old items, you will more likely be stuck disposing of them yourself. Large appliances like ovens can be responsibly disposed of through professional recycling. Junk King, for example, focuses on recycling for all the junk we collect, and in the case of stove, oven and microwave oven disposal we make sure that each piece gets broken down into metals and other materials. Scrap metal gets separated from plastic and hazardous electronic waste, or e-waste. In fact, everything gets recycled or junked in the most responsible way possible! Appliance recycling begins with manually dismantling each appliance. Once this is done the hazardous components must be removed and properly disposed of. Then the recycler is able to salvage the reusable parts. Appliance recycling prevents substantial amounts of metal, plastic, and glass from ending up in a landfill while reducing the demand for extracting or producing these materials again. With the costs of certain metals rising and the value of these materials increasing, a number of salvage firms are taking on more and more old appliances in addition to their normal quota of used vehicles. Sometimes this can be a viable option for your unusable, old appliances, as well. What Type of Appliances Can You Have Recycled? 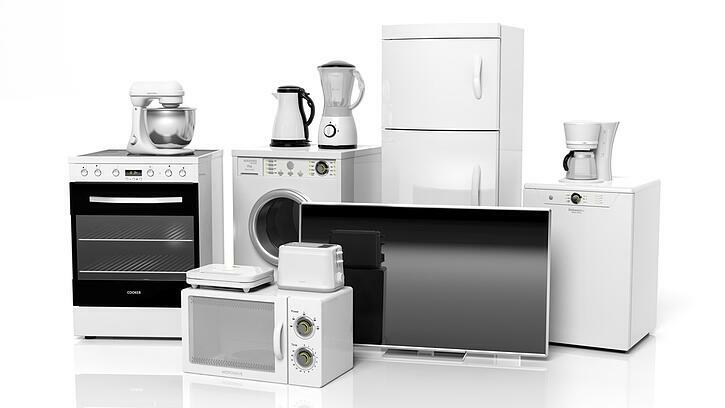 Let’s take a look at some of the more common appliances that are disposed of on a regular basis. Have you recently considered upgrading to a new high-tech refrigerator? Maybe one that comes complete with temperature sensors, a water filtration system, and energy saver technology? That’s fantastic, but what will you do with your old fridge? If you already have an old one sitting in your basement or your garage, you already know that refrigerator disposal is a hefty task for anyone. Not only are refrigerators one of the heaviest types of appliances in a typical home, they also must be disposed of in the proper manner or they can release chemicals that are harmful to the environment. It has been estimated that roughly nine million refrigerators and freezers are disposed of each year. And household refrigerators and freezers manufactured before 1995 typically contain chlorofluorocarbon (CFC) refrigerant. Much like hydrochlorofluorocarbon (HCFC) refrigerant found in many window air-conditioning units and dehumidifiers, CFC is considered ozone-depleting substance, ODS, that can destroy the ozone layer if released into the environment. Moreover, CFC and HCFC refrigerants are also potent “greenhouse gases” that may contribute to climate change. Most refrigerators and freezers manufactured since 1995 contain ozone-friendly hydrofluorocarbon (HFC) refrigerants. However, these refrigerants still need to be carefully handled because they are also considered greenhouse gases. Can you recycle old refrigerators? Yes. Look to Junk King when you want to safely remove your old refrigerator and have it recycled in an eco-friendly way. Removing a fridge is generally a two person job and if you’re moving up or down stairs it can also be dangerous. They best way to remove your old refrigerator is to call Junk King and have our expert movers come and get it. When you call Junk King you can rest assured you are doing the environmentally sound thing. We will take your refrigerator straight to the nearest recycling center where it will be sorted and recycled responsibly. Some appliances such as refrigerators and freezers contain Freon, a solvent that is harmful to the environment. The Freon must be handled carefully and collected by a recycling center before the appliance itself can be recycled. Count on Junk King to handle all the recycling of your items and rest assured your appliances will be disposed of the correct way. When a laundry appliance reaches the end of its life cycle, replacing it becomes necessary. Older washers and dryers often use far more energy and water than their newer counterparts, and they often create a noisy racket when they’re not working well. You can also find mercury in washing machines made before 1972, so if you're thinking of getting rid of those ancient washers, be cautious. However, getting the old ones out the door and responsibly disposed of can be difficult. Getting a new and efficient washer and dryer set is a great investment. And while having new appliances is always exciting, old appliance removal - not so much! When your washer and dryer reach the end of their useful life, replacing them with new appliances is often the best way to go. However, sometimes it makes sense to find used items for replacement. But keep in mind that large appliances such as washers and dryers tend to become more efficient with each new generation of design. What About Old Washer and Dryer Removal? When you purchase a new washer or dryer you may find that not every appliance dealer offers to take you old machines off your hands. So the problem for many homeowners becomes, "How do we get rid of our old machines?" If they are still in working and usable condition, you can try selling them online or in a yard sale. But, if they don't sell quickly, or you simply don't want to bother with the process, what do you do? The easy answer is to hire a junk removal service. And when you use an eco-friendly junk removal service, such as Junk King, to repurpose your old appliance you don’t have to worry about the environmental impact of disposing of your old machines. Can Your Old Washer and Dryer Be Recycled or Reused? Yes! The fact is that your old washing machine and dryer can be reused or disassembled and recycled. Appliances that are in decent condition are much appreciated by donation center and charities, and our junk removal service can help to make sure your old washer and dryer are either recycled or reused. Appliance recycling often makes more sense than donation, however, since the equipment is probably inefficient and close to breaking down if it hasn’t already. In addition, having to move and lift a washer or dryer takes a lot of hard work and requires a vehicle that can handle the load safely. These are not items that just anyone can take to the local donation center. At Junk King, however, our junk removal teams are well trained for these tasks and they also have the right equipment to do it fast and efficiently. That’s when appliance recycling from a professional junk removal team saves the day. You’ve coveted those beautiful, high-performance kitchen appliances long enough; it’s time to upgrade your stovetop and oven! And, while you’re at it, what about that old microwave oven? You just need to figure out a simple solution to dispose and if possible, recycle your old stove, oven and microwave oven. Mercury is a safety component for appliances, especially pilot light gas ranges. It makes sure the gas valve is shut off when the pilot light isn’t on. Likewise it's also an environmental hazard, posing a threat to ground water. Though gas-light ranges are decreasing in prevalence over time, an older unit may pose a hazard. Working microwave ovens can easily be sold or donated, but one that’s broken beyond repair can be harder to dispose of. Contrary to what many people believe, microwave ovens don’t actually contain radioactive material. Instead, they use non-ionizing radiation to cook food, which is generated by a magnetron, a component that agitates electrons drawn from a heated filament. They do, however, have electrical components such as a capacitor that can be dangerous to handle. As with most appliances, curbside recycling programs generally will not collect them, but given how many useful materials microwave ovens contain, it is worthwhile to find a resource for disposal. 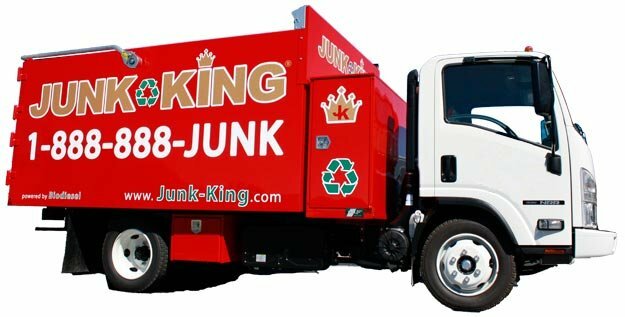 That’s where Junk King comes in — we offer fast and friendly appliance removal including environmentally friendly disposal and recycling. Add to this that air conditioning units contain Freon and other refrigerants regulated by the U.S. federal government under the Clean Air Act and you realize why you rather want to use professional junk removal services to help you say goodbye to these bulky appliances while enjoying the great relief of eco-friendly recycling and donation options. It is estimated that there are currently over 100 million residential air conditioning units in the United States alone. This adds up to a huge number of units being replaced each year as their service lives come to an end. In fact, it has been estimated that roughly six million window air conditioning units and nearly one million dehumidifiers are disposed of each year. Upgrading to central air can increase your home’s value. And of course, when you get a new air conditioner you need a solution for disposing of the old one. An air conditioner may seem innocuous, but refrigerants and mercury pose environmental concerns. Air conditioners and dehumidifiers contain hydrochlorofluorocarbon (HCFC). This chemical is thought to deplete the ozone layer and possibly contributing climate change. Fortunately, most window air-conditioning units and dehumidifiers manufactured since 2010 contain ozone-friendly hydrofluorocarbon (HFC) refrigerants. However, these refrigerants still need to be carefully handled because they are also considered greenhouse gases. If you have an old air conditioner sitting around, or plan on replacing your equipment soon, make an appointment with Junk King for the fast and safe disposal of your old air conditioner. We’ll provide a free estimate and our insured, trained junk removal professionals will pick it up and make sure it’s disposed of safely and responsibly. Junk King can remove refrigerators, freezers, ovens, stoves, flattops, dishwashers, ranges and more.. We have all the equipment and man power to remove a large fridge even up a small stairway or down your basement steps out through the garage. We can remove commercial appliances if you are renovating a restaurant or upgrading your old equipment.